Aquamareen Crafting: Leaving on a ... Sailboat? Nah, but I whipped up these yesterday evening for the two boys who won't get a baby quilt since they're not babies anymore and received theirs a while back, respectively this one and this one. Can't have them feeling jealous or left out, especially as one's the big brother of a recipient. 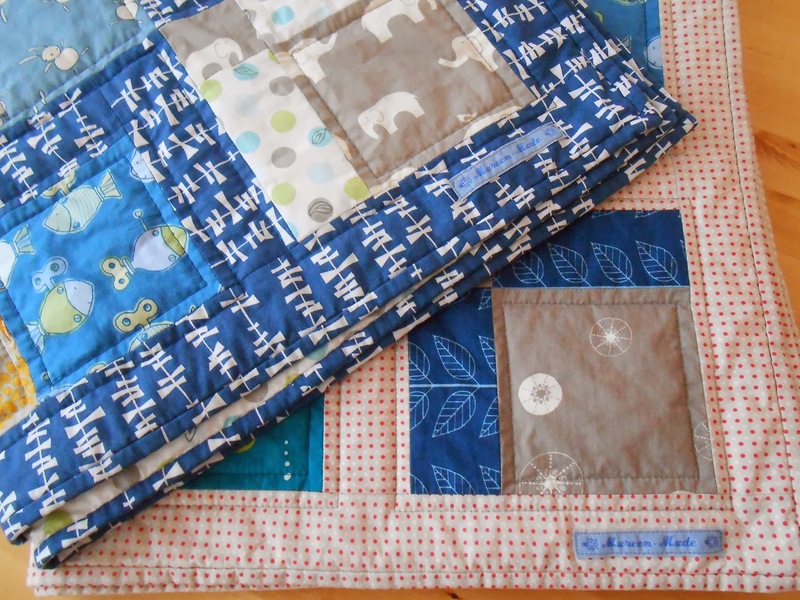 Needless to say, but lovely to brag anyway, I finished my baby quilts yesterday and they're looking really good after their wash. I'll be posting a bunch of pictures soon. Here's another teaser. That being said, I'm having a fabulous week. On Sunday my sister and I went to see Dallas Buyers Club (go and see it if you haven't already) and tonight we're off to a concert. Then it's only one more workday for me and on Thursday morning I'm off to visit a bunch of lovely friends and their babies and toddlers in the UK. Which means I'm already pretty much in a holiday mood - and it feels so good. 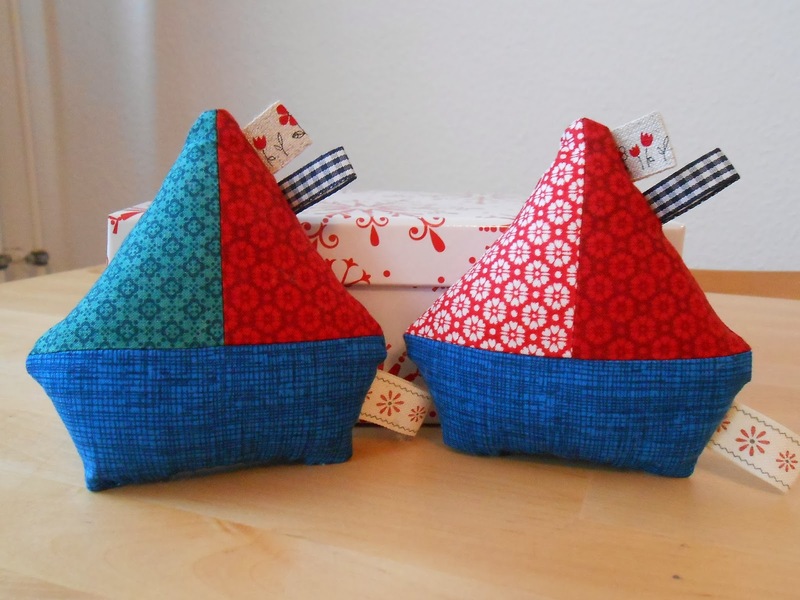 Those sailboats are just too cute-did you use a pattern for those? Looking forward to seeing the finished quilt too. I see 2 prints that you have that I've been unable to get my hands on! The bunnies, and gray elephants. Love those sweet sailboats! That's a really lovely idea!